I have been eyeing this pretty piece of vintage scrap fabric in my mom’s stash for a long time. The fabric has been around since the beginning of time for me. There’s not much left of it so I thought it would be great for a summer top. What I ended up with is this halter top. 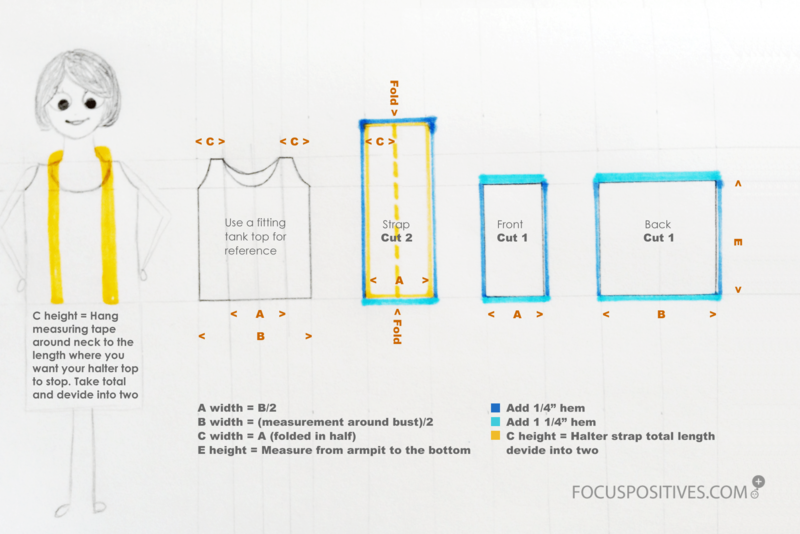 It requires very little fabric and is super easy to sew. It’s super comfy and stretchy, unfortunately I don’t know what type of material it is. You could probably use any stretchy material and it would work the same. Add hem according to color chart above. 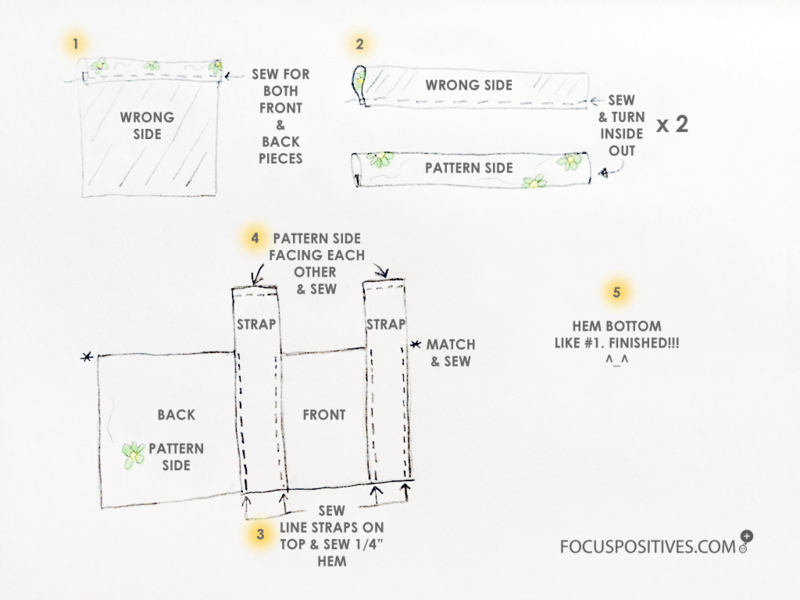 Hem the top of the Front and Back pieces by folding 1/4″ then 1/2″ and sew. Fold the 2 strap pieces in half and sew on the wrong side. Turn the pattern side out. Place straps on top of the Front and Back pieces and sew together. Face pattern sides together and sew the straps together. Hem the bottom of the garment like #1.